A wonderful bushy plant with pink centers on its clustered blooms. This polyantha is of moderate size. A unique shading from 1899 that displays against rich green foliage. Upright growth habit. 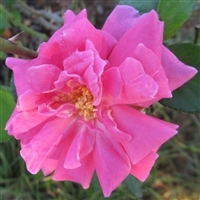 An Earth-Kind® rose introduced in 1999. It has a musk fragrance. Almost thornless, blooms form in small clusters. 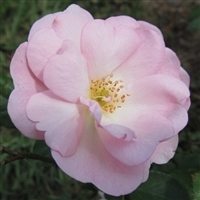 From 1888 this variety blooms with white towards the outside and soft pink towards the center, this varies with the time of years. Almost thornless, A hardy rose. An Australian introduction from 1936, bushy and compact. The flowers bloom in small clusters. 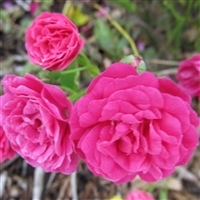 Bred in Australia in 1923 this rose flowers in large clusters. The sprays are known to have won many awards at rose shows. A rose from Belgium in 1945. This variety offers up to a generous 20 blooms per cluster. Vigorous, bushy growth. A German introduction in 1909 this variety shows a dynamic blending of colors. The yellow, pink and cream give these blooms many ways to display the trio of colors. 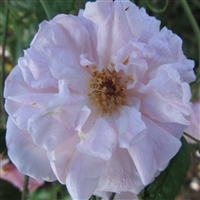 Bred in France in 1918 this is a small plant with a generous display of large clusters. It has won many regional awards for best Polyantha spray.